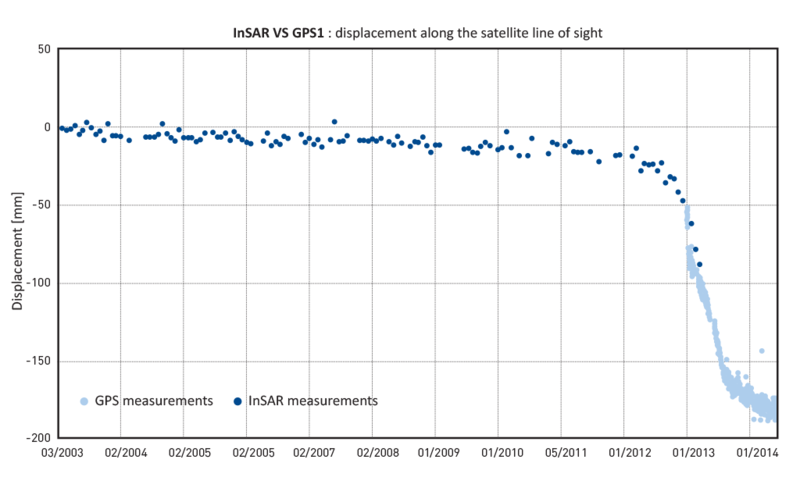 We have designed a toolbar for advanced analyses of your InSAR results in an ArcGIS environment. The toolbar simplifies the process of visualizing data, applying a legend, creating maps (average velocity, cumulative displacement, etc. 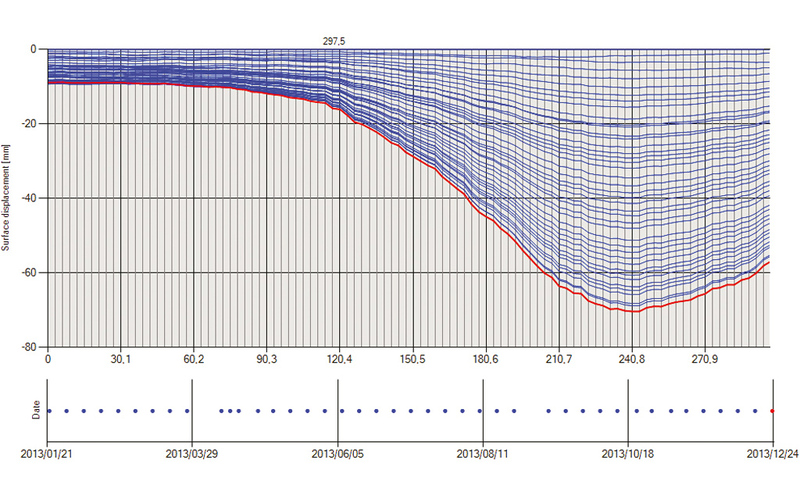 ), displaying time series and analysing motion profiles using the cross-section tool. Available in our ArcGIS toolbar and visualization platform TREmaps®. By simply drawing one or more vectors across your area of interest, an animation of the surface profile is generated. The cross-section mapping enables you to observe the shape of the surface as it evolves over time and often reveals subtle changes. 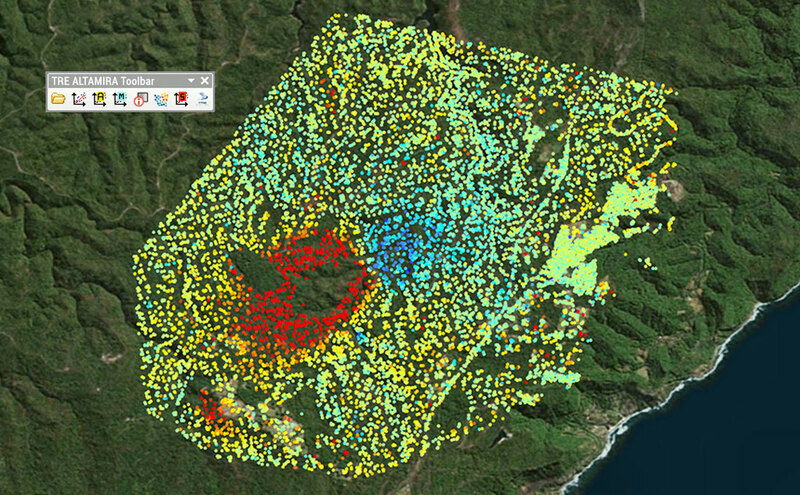 InSAR data complement other ground monitoring systems such as GPS and levelling. A synergistic approach increases the effectiveness of your monitoring program and the accuracy of mathematical modelling. Our offer also includes support to integrate InSAR with other surveying techniques.